Why waste your time waiting in line at the Post Office? A postage meter is a welcome addition to any office. Whether you send just a few pieces of mail a day or a few thousand, a postage meter can provide you with many benefits -convenience, improved company image, faster delivery of your mail, and even postage savings. 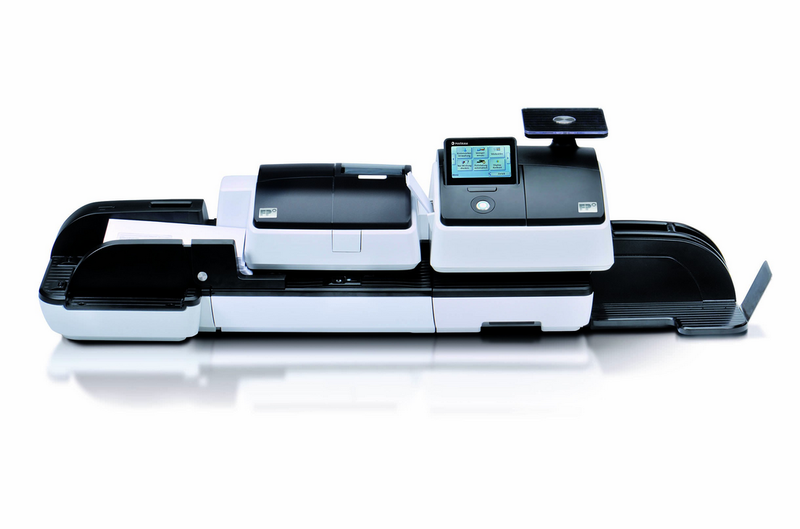 Bring the Post Office right to your desk with a new postage meter from 360 Business Solutions. The entire PostBase line features touch screen operation, Ethernet connectivity for postage downloads and software upgrades, integrated scales, ink-jet printing, and optional speed/feeder/feature enhancement for the PostBase 30 and larger models. PostBase 20 brings FP’s renowned PostBase technology to small businesses and organizations that need an affordable option for their mailing needs. As FP's entry-level machine, the PostBase 20 has the capability to print every type of postage offered by the USPS, while still being small, economical, and time-saving. Like the rest of the PostBase line, it features touch-screen operation, accounting for five departments, security pin codes, a five pound scale, and (unlike other entry-level machines on the market) reliable, inexpensive ink-jet printing. Also setting this machine apart is it's semi-automatic pass-through envelope transport, capable of printing onto very thick envelopes. Perfect for a first time user and multiple operators. Along with its user-friendly design, the PostBase 30 features the quietest operation in its class, not being a disturbance to your open space office. 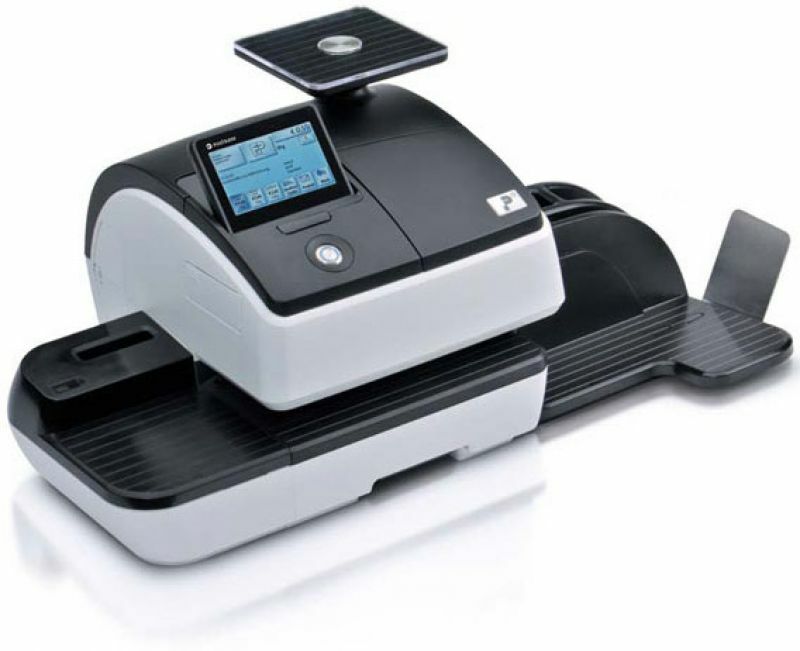 The PostBase 30 features a five pound scale, automatic label feeder, customizable "hot keys" for common jobs, accounting for five departments, and the ability to print personalized text messages onto your mail. The PostBase 45 Semi-Automatic is the fastest, compact "hand-feeding" machine available from FP. It processes an envelope in less than 1.5 seconds, and comes standard with a ten pound scale, 20 accounts, and ten customizable "hot keys". Perfect for mid-volume offices with little space to spare. 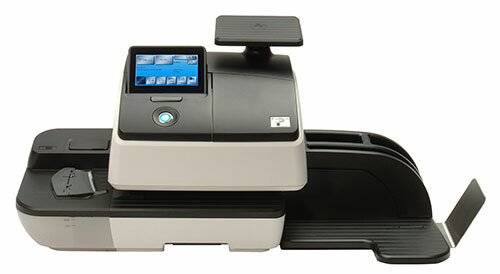 The PostBase 45 Auto is FP's entry-level fully automatic postage meter. It is a great, low-cost machine for offices that run medium/ large amounts of postage at one time -just stack in a pile of envelopes and walk away. No more hand-feeding each envelope! The PostBase 45 Automatic shares the same scale and software features as its semi-automatic counterpart. Introducing the FP PostBase 85. This total solution brings best-in-class mailing technology, smooth feeding and intuitive operation to your office environment. Learn how the PostBase 85 with optional MailOne 2.0 can benefit you. The PostBase Pro is a robust system, processing 140 letters per minute, and comes standard with a fully-automatic feeder/sealer, Differential Weighing, 15lb scale, ReportOne software, and 100 accounts. Adding upgrades like FP’s powerful MailOne software and up to 250 accounts allows PostBase Pro to continually grow along with your business. The PostBase Pro DS is the first PostBase model with Dynamic Weighing , processing 140 letters per minute without dynamic weighing, and 90 letters per minute with the feature turned on. The compact Pro DS comes standard with a fully-automatic feeder/sealer, Dynamic Scale, Differential Weighing, 15lb external scale, ReportOne software, and 100 accounts. Adding upgrades like FP’s powerful MailOne software and up to 250 accounts allows PostBase Pro to continually grow along with your business. The PostBase One kept everything wonderful about the CentorMail: vertical mixed-mail feeding, jet sealing, automatic weighing, speed, bulk-ink printing, and the ability to process packages nearly 1" thick, while adding adding the most popular feature of the PostBase series: a customizable, colorful, intuitive, user-friendly touch-screen interface. This machine is perfect for insurance companies, large law offices, and anyone whom sends large envelopes on a regular basis.